Meta Women's 33" Labcoat. Wonderful styling for this female lab coat in a soil release performance fabric. whether working on the hospital floor lab or office, your professional labcoat with show you belong in your position on the team. Note most Med Students need between 2-6 coats to stay clean and ready for floor and clinical rotations. Breast Pocket with Pencil Pocket. 65% Polyester/35% Cotton with soil release material. 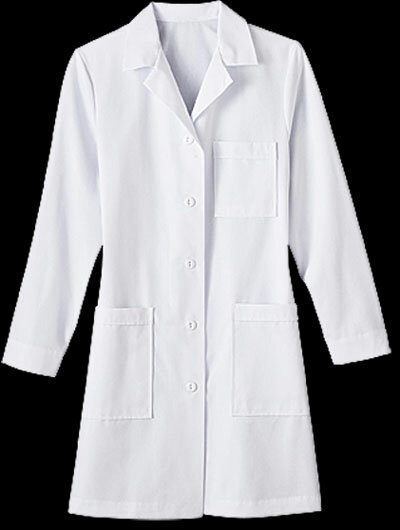 Check out our embroidery options for this labcoat here.